With an abundance of facial treatments out there, picking one has never been an easy choice. But that is not the downfall of searching for one that is deemed perfect, in fact, the more the better as not everyone’s skin type is the same. We’re on a constant search for the best one out there for our skin type, with the mindset of looking for one that offers the best products or another that has the most massage techniques — but perhaps, a facial treatment that uses only specialised equipment can be your next go-to treatment. 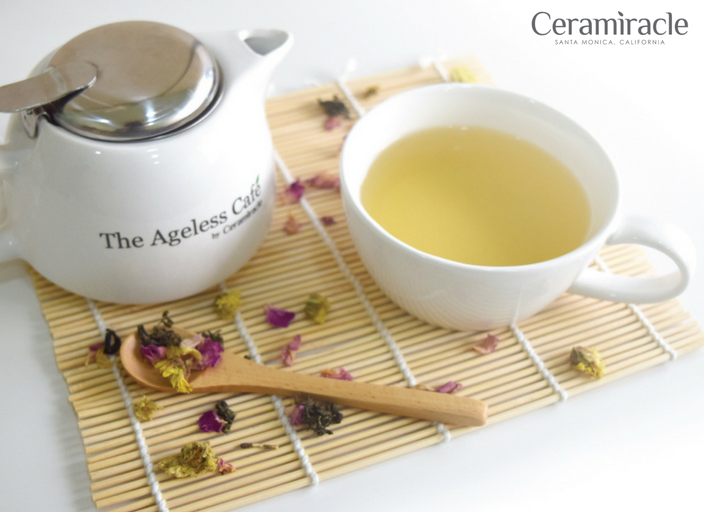 Ceramiracle‘s Celebrity Medifacial promises customers to not just achieve their best skin yet, but also feel like a million-dollar while they walk through the door after the treatment. It’s a Beverly-Hills styled beauty regimen, focusing on improving your skin’s health in general. 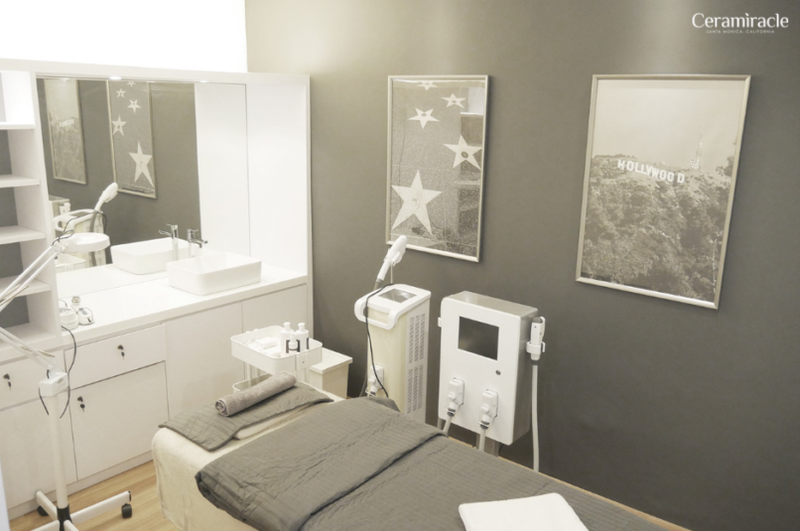 It is even more interesting to know that the Celebrity Medifacial is inspired by a day-out in Santa Monica, with high tech machines. This may be the first time we hear a city as a source of inspiration for a facial treatment, but after experiencing the following steps first hand, everything makes total sense to us. The treatment starts with deep cleansing using a patented 3D ultrasonic machine that makes chirping sounds when in used — resembling the seagulls on the beach. Next up, like the bright sun of Santa Monica, the Arctic Light IPL rejuvenation treatment sends tingles on the skin, followed by Deep Stimulation RF to lift and tone the contours of the face in waves. What best to end the day than an ice-cold treat — exactly what you’ll experience during the facial that finishes of with ice-cold Cyro-toning massage. Celebrity Medifacial promises evident results even after one treatment with the use of the best state-of-the-art technology. Each machine used in the treatment is indeed one of a kind and can only be found in this particular centre. For instance, IPL is commonly used for hair removal but Ceramiracle harnesses that same technology to kill bacteria that may still linger on the skin after cleansing, prevent acne from appearing, reduce any signs of pigmentation or redness, and rejuvenate the skin from deep within. These are the key benefits when it comes to using machines, and it’s not achievable by easily massaging a skincare product into your skin — more so to see immediate results after the treatment. Similarly, the Deep Stimulation RF also uses radio frequency to reduce and prevent wrinkles from appearing while toning up the entire facial structure. Advanced massage techniques and high-quality skincare products used to be the epitome of what measures a good facial treatment. Though these qualities are still relevant to many centres, there’s no denying that using fancy machines and gadgets seem to be the latest ‘facial craze’. Many are definitely willing to give these advanced machines a try as they promise more effective and prominent results. For example, the use of different LED lights that is claimed to treat all skin issues. Skin Inc’s Optimizer Voyage Tri-Light, for instance, uses NASA-inspired technology to stimulate cells and boost skin’s absorption of active ingredients in their products and treatments. Talika’s Light Duo+ uses the same concept to boost collagen production. With the growth of electronic facial tools released by leading beauty brands, it is an indication that the beauty market is moving into a high-tech domain. Similarly, facial treatment centres like AsterSpring’s Hydra-Light Therapy are following the trend with the introduction of a high-tech facial treatment late last year, and now with Ceramiracle’s Celebrity Medifacial, beauty companies are seriously upping their game in this tech-driven industry. Celebrity Medifacial is the only facial available at the centre so consumers do not have to go through the fuss of choosing from a wide array of treatments. All of the products used are formulated for universal use on all skin types regardless of gender or ethnicity. 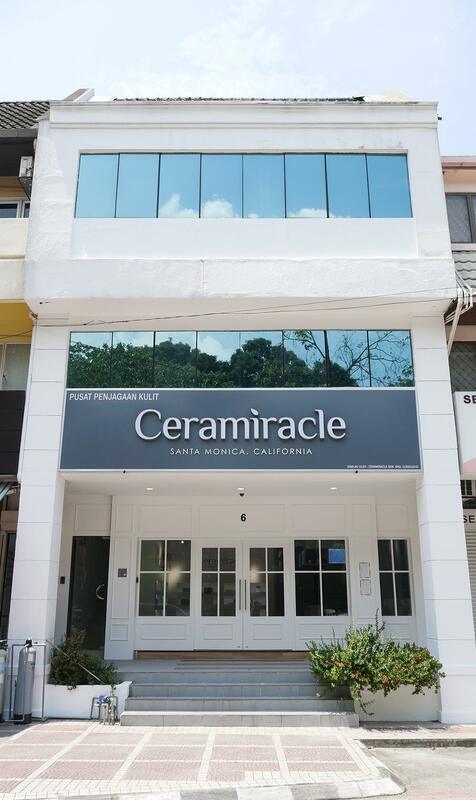 Ceramiracle, 6, Jalan Datuk Sulaiman, Taman Tun Dr Ismail, 60000 Kuala Lumpur, +603-7627 6568.